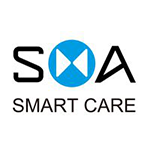 Shenzhen Smart Care Technology Ltd is an innovative company specializing in smart devices. It is one of the most respected smart device supplier in China. Our vision is to create intelligent products that care for and protect human health. With more than 30 R&D engineer from hardware,software,APP and cloud server, we have very strong design&R&D capabilities for creating wearable devices. We design human-friendly smart products and constantly strive to integrate the best technology with the most intuitive user experience to provide the highest quality medical-level health monitoring for you and your family.